Alright guys, now welcome back to Correct Blogger, and today we will be discussing the just launched Infinix Note 5 and the Note 5 Pro Smart Phones. UPDATE - The Infinix Note 5 and Note 5 Pro doesn't come with Android Oreo Go Edition, instead it came with android One which is a pretty nice thing if you ask me, it gives that kind of Google Pixel like phone experience without all those plenty paparazzis that you'd get with the Infinix own XOS Ui. So with this, which do you prefer? 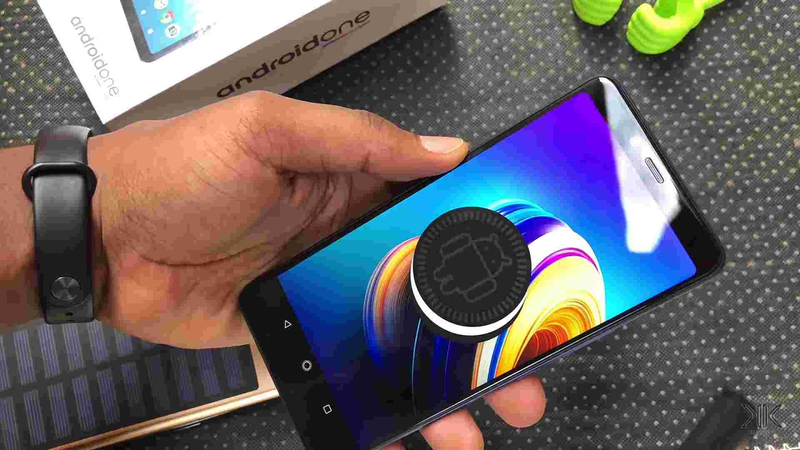 Infinix XOS, or Android One? 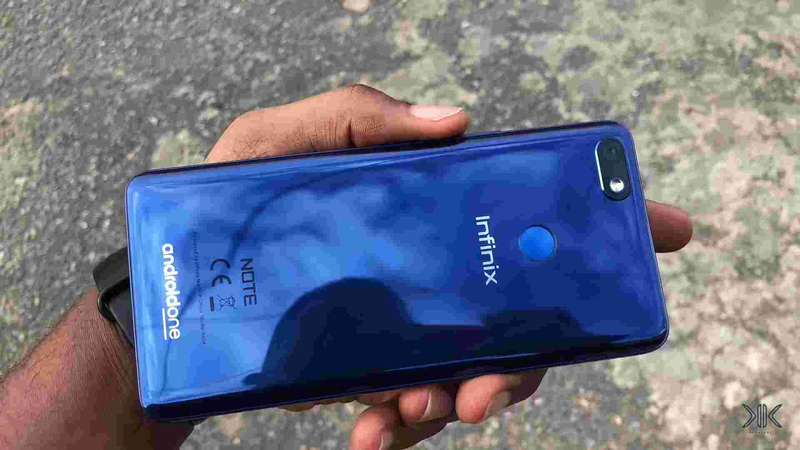 So in case you don't know up till now, we've been really waiting and anticipating for the next Infinix Note devices, we were really waiting to see what Infinix had in stock for us, until yesterday when Infinix first officially unveiled the Infinix Note 5 smart phone.. And guess what, we were really impressed and at the same time, we were not also that really impressed.. but don't worry, we will tell you why. 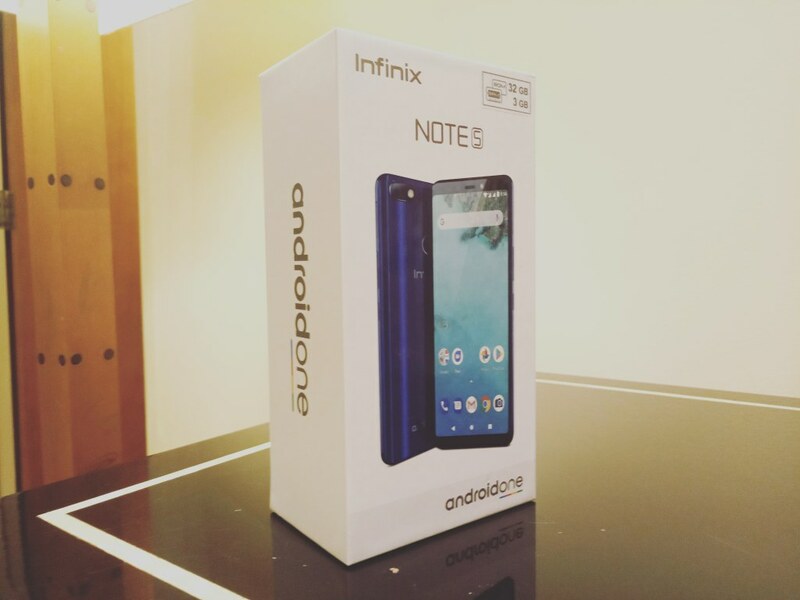 So to start with, just as we've known and just as the way Infinix have been doing their things before, there are two variants of the Infinix Note 5 devices, there is the Standard Note 5 and there is the Note 5 Pro version and just as you can tell, the Pro version always come with slightly bigger specs that might get you confused when deciding which one to go for. But right now and as at the time of writing the article, the only version which you can literally buy or get your hands on for the moment is the standard Note 5 variant, the Pro version will be coming very soon, and we will not fail to update this article once it does. So make sure to subscribe to our newsletter to get notified of it when we drop it. So now let's move on to the review proper and let us tell you the five(5) reasons why we like, and dislike the new Infinix Note 5 and Note 5 Pro smart phones, so to start with, let us start with the.. So for the design, now i already made a post where i complained about this sudden migration from aluminum body to plastics on both Infinix and Tecno smart phones as of late, but it seemed like that complain didn't get to them, and that is the reason why this new Infinix Note 5 smart phone also came with a glossy (shiny and reflective) plastic body that might be easily mistaken for glass if not observed closely, but that doesn't still dispute the fact that it is plastic, and plastics are inferior to metal, because they are bond to scratch, wear and tear, and easily get broken within a short time. But Infinix included a rubber phone case in the box to protect the phone's body, but who needs a phone case in 2018 when the whole world is moving to using glass bodies on their smart phones? i just hope they don't do the same thing on the next Infinix Zero 6. BUT PLEASE NOTE - That only the Infinix Note 5 standard variant that actually came with a plastic body, the Pro variant comes with a metallic Aluminium body that speaks more premium and looks more pricey than its twin brother. Read Also - An Open Letter To Both Tecno And Infinix As To Why Have They Suddenly Decided To Go Back To Using Plastics On Their Smart Phones Instead Of The Iconic Aluminium Unibodies That We Were Used To Seeing Before. Now i must confess, i really do love what Infinix did with the display of the Note 5 and Note 5 Pro devices. So for the first time, we are getting a FHD+ (Full HD Plus) resolution display on the Note devices which to me i think it is a big step forward from the iconic just normal HD resolution that has taunted the Note series smart phones for so many years now.. 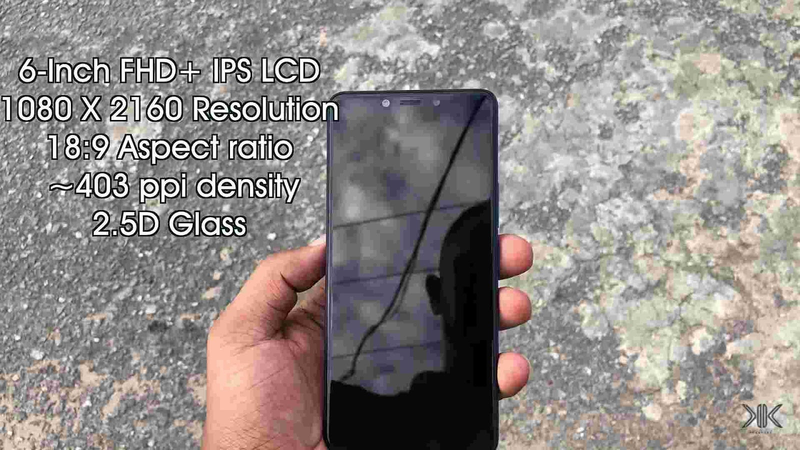 So in case you don't know, you are getting a 6" Inch FHD+ (Full Display) IPS LCD display on both variants, with an 18:9 Aspect Ratio which means that you'd get more screen estate with reduced up and down bezels, but personally to me, i don't really think that both Infinix and Tecno have done well to reduce any of these bezels, because merely looking at them, they are still considerably large compared to what you'd get on other smart phones within their range. But that doesn't still dispute the fact that these smart phones really do look very beautiful and pleasing to the eye. 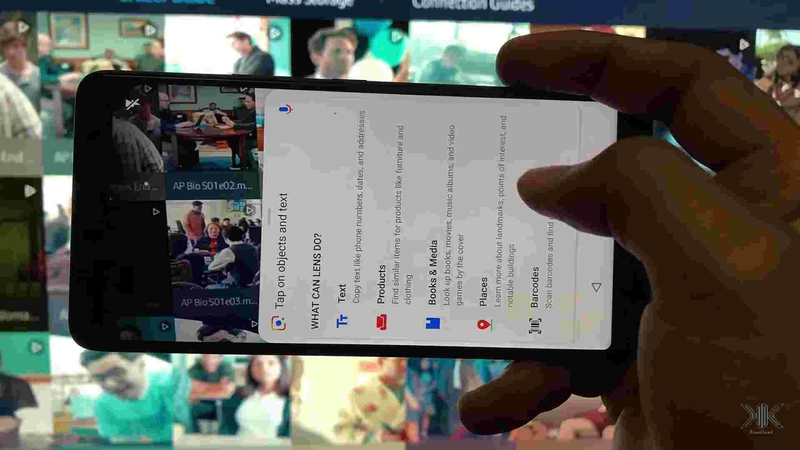 With a Full HD resolution means you'd get a sharper and crispier screen to look at whenever you are operating your phone... So a very big kudos to Infinix for this one. And then for the cameras, well what more can i say, i'm also very pleased, but at the same time, slightly disappointed. So even though we don't get to enjoy dual camera setup on both devices just like we saw on the recent Infinix Hot 6 and the Hot 6 Pro, we still get to enjoy a camera with 12MP and some AI stuff going on in it. So on both devices, we have a single 12MP lens at the rear with AI Scene And Object Recognition using Google Lens that is baked into the Android Oreo Go Edition android One that came with the phone. 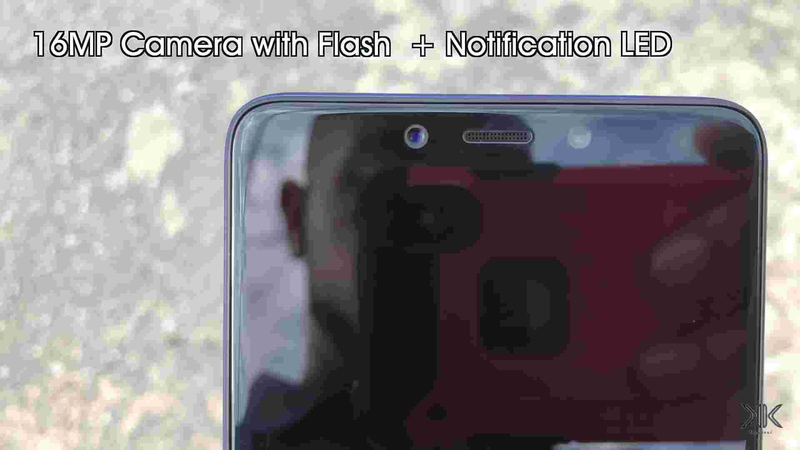 Something similar but not exactly what you'd get on some other top flagship devices like the Huawei P20 and P20 Pro and the LG G7 ThinQ, where the camera automatically detects the scene and subject in view, and decides what camera settings will be best used to take the photo. 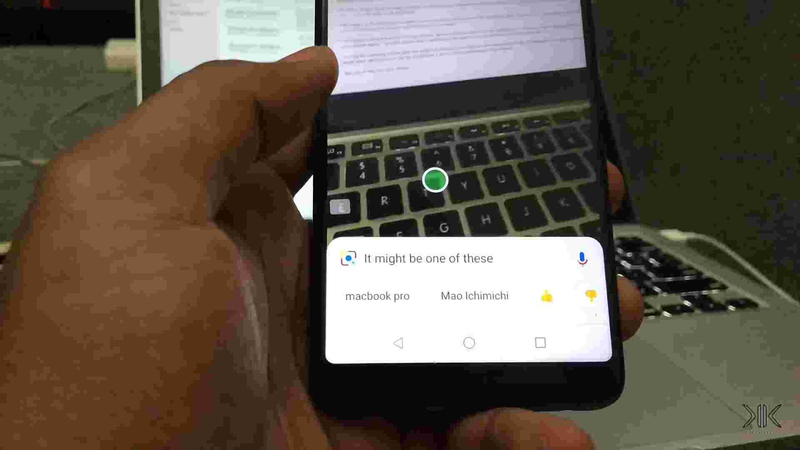 You can as well tap on objects through the camera's view finder to know what they are or get more details about them using the Google Lens, and you can also automatically point at and translate texts in real time right from the camera. Cool stuff right, much more like what you'd get on the Samsung Galaxy S9's Bixby Camera. Then at the front, you are also entitled to another big 16MP camera that should really be an exciting feature for all them selfie lovers out there.. So for software, you don't get the iconic Infinix own customised XOS Ui on these devices, instead you get Google's own native android One. Now in case you don't know, android One is simply a pure and original android version that is meant for other brands of smart phones. With it you'd get that kind of experience you have when using a Google Nexus or Pixel device. 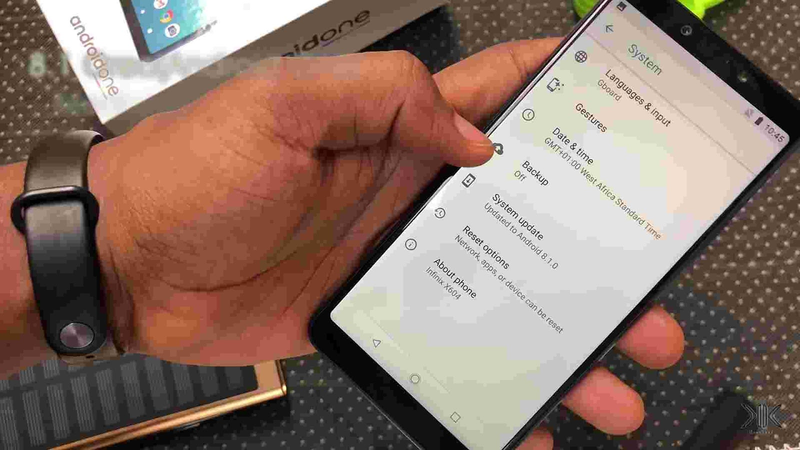 So this device shipping with android One simply means that you'd get a buttery smooth performance with no lags because everything is now being controlled by Google themselves and you know the kind of smooth performance experience you'd get when using a smart phone that is completely controlled by Google, go and make use of the Google Pixel and Pixel 2 smart phones, then you will know what i'm talking about. 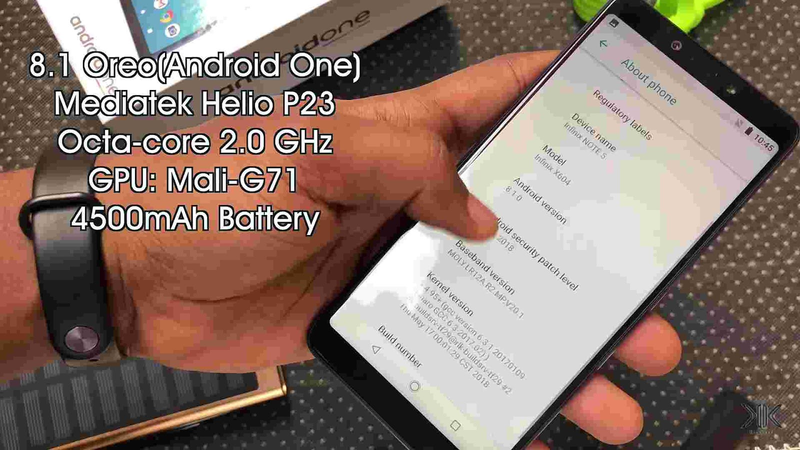 Then coupled with a 3GB or 4GB of RAM depending on which variant you are getting, (3GB for the standard, 4GB for the Pro) and a Mediatek Helio P30 Processor, it means that you can fly through apps like breeze, and ehmm(scratches head), not a lot of apps will have a hard time staying open in the background unless you try pushing the phone to its limits by leaving too many heavy apps in the background like games. But to cap it all, the phone's performance is pretty smooth, fast and stable.. But right now my question is, why did Infinix went back to using a Mediatek Processor on the Note 5 devices while after using Snapdragon Processors on the last Infinix Hot S3 and the Infinix Hot 6 and Hot 6 Pro? because sincerely i was really having very high hopes for this smart phone.. but i must confess, Infinix just fell my hand and threw my hopes to the gutter and i'm pretty sure they've as well greatly disappointed some other people also just like me.. But all the same, who am i? i am nobody.. does Infinix even know me? No. Well let's move to the next feature or spec. So in this case too, i am pretty impressed, and at the same time, not pretty impressed. So first of all, last year Infinix introduced us to the S-pen(sorry Samsung) on the Infinix Note 4 Pro device, but there was an issue which got everyone including me upset. The S-pen that came with the the Note 4 Pro wasn't built into the body of the phone, instead it was built together with the phone case that came with the device which means you are forced to carry the phone case anywhere you go if you want to use the S-pen, even when you are not a fan of phone cases, and secondly the phone case really made the device to become unnecessarily large and uncomfortable to hold. But with the new Infinix Note 5 Pro, you are getting an S-pen that is built together inside the phone's body, so all you have to do, is click a bottom at the bottom of it to pop it off just like you do on a Samsung Galaxy Note device. But one problem i have or one aspect that got me disappointed is that the S-pen just as you would have guessed is only made available for the Infinix Note 5 Pro version and not the standard version.. So why call it a Note when it doesn't have it takes to be called a Note. Like seriously, the S-pen shouldn't have been a differentiating factor between the two devices. There are a lot of things that can differentiate the two devices apart from the S-pen, things like maybe a bigger RAM and storage which they already have, a bigger screen, better processor, bigger battery or even a better camera.. but the S-pen, no and never, it should have never been a differentiating factor. So for batteries, you are getting a beefy 4500mAh power battery.. of which according to Eric Okafor the KnewKeed from KnewKeed.com, says it can last you up to three good days without any need to recharge.. and it also comes with Infinix's own Quick charging feature which is called in this case XCharge. 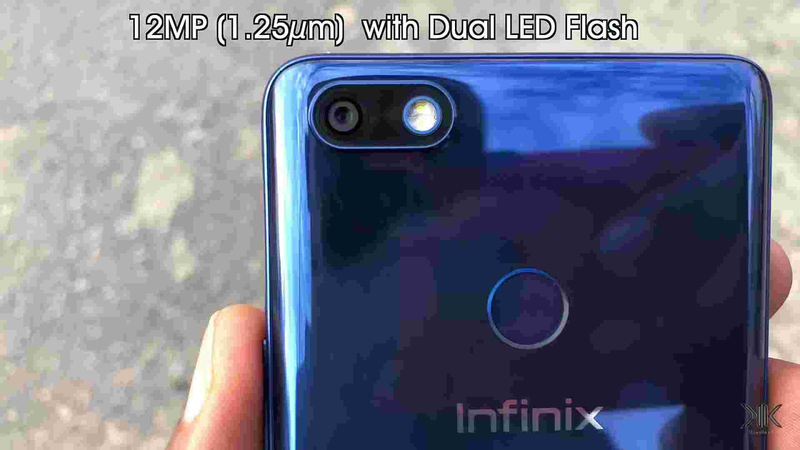 Then finally for the price, well as at the time of writing and compiling this article, Infinix has not said a single word about the price of these new smart phones, but trust us to keep our ears to the ground and update this article immediately we are able to get any tangible information.. so like i said up there, please make sure to subscribe to our free newsletter to get notified of it when it drops..
And that is it for the Infinix Note 5 and the Note 5 Pro smart phones.. So let us know in the comments box what you like and what you don't really like about both devices, did Infinix do well to impress you, or were you also slightly disappointed like us here.. So tell us what you think and make sure to share this article and subscribe to our newsletter for free..
Read Also - The New Infinix Hot 6 Pro Review (A Hot That Is Not Very Hot). 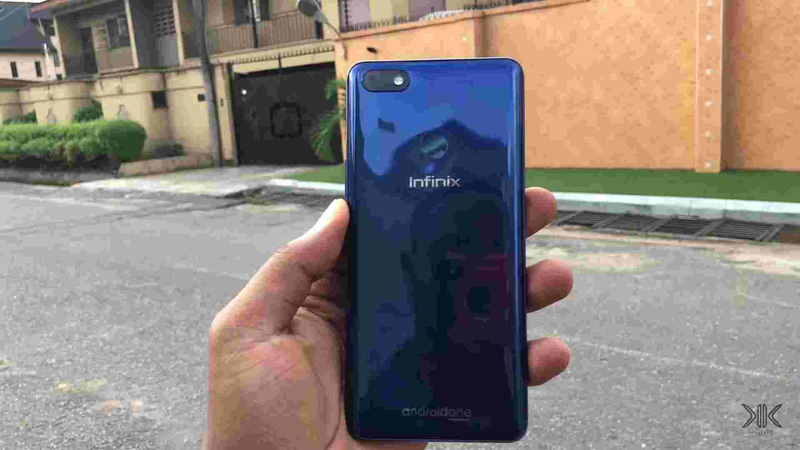 • Early Speculations Of The Upcoming Next Infinix Zero 6 Smart Phone (5 Things We Are Expecting From Infinix This Year). Hello bro, the Infinix Note 5 Pro has been unveiled already yesterday 10th Of September 2018...so stay tuned to this website to get all our latest gists concerning the phone..subscribe to our newsletter for free to get started. Hello Bro, good thing you asked..well in case you must know, the Infinix Note 5 Pro has been unveiled already, it was officially unveiled for the first time yesterday 10th of September 2018..but as of now, we don't have any information whatsoever about the price as sales has not began.. Sales will officially begin on the 15th of September 2018..But before then, stay tuned as we will be bringing you more updates concerning the phone.. #cheers..